Home » What is calibration ? There are as many definitions of calibration as there are methods. 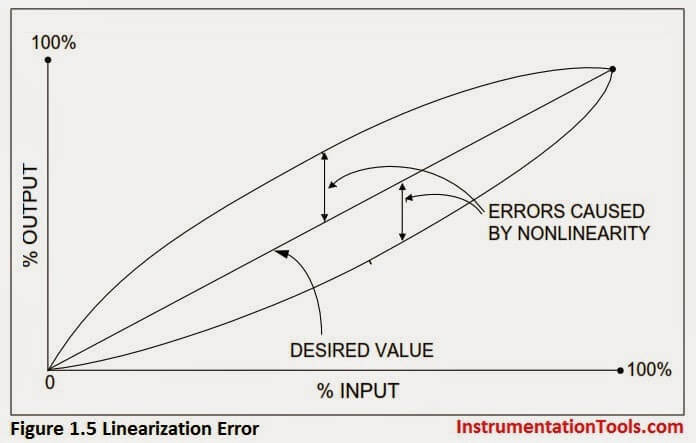 According to ISA’s The Automation, Systems, and Instrumentation Dictionary, the word calibration is defined as “a test during which known values of measurand are applied to the transducer and corresponding output readings are recorded under specified conditions.” The definition includes the capability to adjust the instrument to zero and to set the desired span. An interpretation of the definition would say that a calibration is a comparison of measuring equipment against a standard instrument of higher accuracy to detect, correlate, adjust, rectify and document the accuracy of the instrument being compared. Typically, calibration of an instrument is checked at several points throughout the calibration range of the instrument. The calibration range is defined as “the region between the limits within which a quantity is measured, received or transmitted, expressed by stating the lower and upper range values.” The limits are defined by the zero and span values. 0-to-300 psig = 4-to-20 mA. In this example, the zero input value is 0 psig and zero output value is 4 mA. The input span is 300 psig and the output span is 16 mA. Different terms may be used at your facility. Just be careful not to confuse the range the instrument is capable of with the range for which the instrument has been calibrated. WHAT ARE THE CHARACTERISTICS OF A CALIBRATION? Accuracy: The ratio of the error to the full scale output or the ratio of the error to the output, expressed in percent span or percent reading, respectively. Tolerance: Permissible deviation from a specified value; may be expressed in measurement units, percent of span, or percent of reading. As you can see from the definitions, there are subtle differences between the terms. It is recommended that the tolerance, specified in measurement units, is used for the calibration requirements performed at your facility. 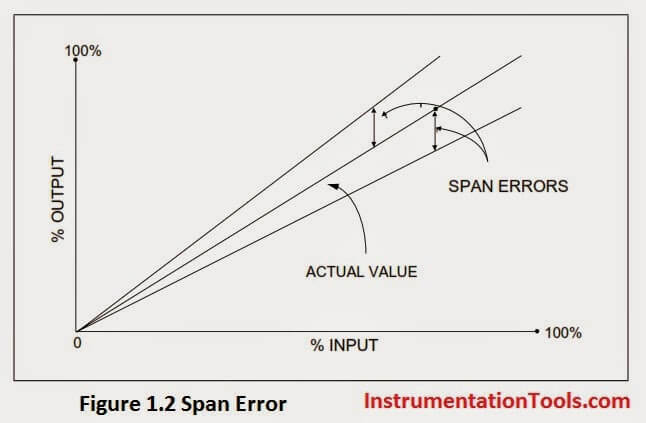 By specifying an actual value, mistakes caused by calculating percentages of span or reading are eliminated. Also, tolerances should be specified in the units measured for the calibration. rounding to 0.11 mA would exceed the calculated tolerance. It is recommended that both ±2 psig and ±0.10 mA tolerances appear on the calibration data sheet if the remote indications and output milliamp signal are recorded. Example: The process requires ±5°C; available test equipment is capable of ±0.25°C; and manufacturer’s stated accuracy is ±0.25°C. The specified calibration tolerance must be between the process requirement and manufacturer’s specified tolerance. Additionally the test equipment must be capable of the tolerance needed. A calibration tolerance of ±1°C might be assigned for consistency with similar instruments and to meet the recommended accuracy ratio of 4:1. Accuracy Ratio: This term was used in the past to describe the relationship between the accuracy of the test standard and the accuracy of the instrument under test. The term is still used by those that do not understand uncertainty calculations (uncertainty is described below). A good rule of thumb is to ensure an accuracy ratio of 4:1 when performing calibrations. This means the instrument or standard used should be four times more accurate than the instrument being checked. Therefore, the test equipment (such as a field standard) used to calibrate the process instrument should be four times more accurate than the process instrument, the laboratory standard used to calibrate the field standard should be four times more accurate than the field standard, and so on. With today’s technology, an accuracy ratio of 4:1 is becoming more difficult to achieve. Why is a 4:1 ratio recommended? Ensuring a 4:1 ratio will minimize the effect of the accuracy of the standard on the overall calibration accuracy. If a higher level standard is found to be out of tolerance by a factor of two, for example, the calibrations performed using that standard are less likely to be compromised. Suppose we use our previous example of the test equipment with a tolerance of ±0.25°C and it is found to be 0.5°C out of tolerance during a scheduled calibration. Since we took into consideration an accuracy ratio of 4:1 and assigned a calibration tolerance of ±1°C to the process instrument, it is less likely that our calibration performed using that standard is compromised. The out-of-tolerance standard still needs to be investigated by reverse traceability of all calibrations performed using the test standard. However, our assurance is high that the process instrument is within tolerance. If we had arbitrarily assigned a calibration tolerance of ±0.25°C to the process instrument, or used test equipment with a calibration tolerance of ±1°C, we would not have the assurance that our process instrument is within calibration tolerance. This leads us to traceability. Traceability: All calibrations should be performed traceable to a nationally or internationally recognized standard. 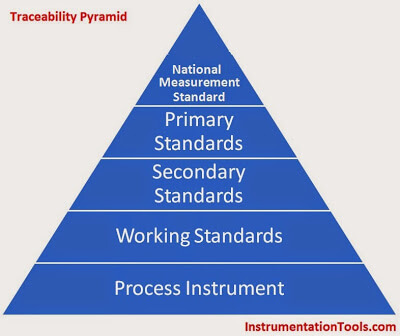 For example, in the United States, the National Institute of Standards and Technology (NIST), formerly National Bureau of Standards (NBS), maintains the nationally recognized standards. Traceability is defined by ANSI/NCSL Z540-1-1994 (which replaced MIL-STD-45662A) as “the property of a result of a measurement whereby it can be related to appropriate standards, generally national or international standards, through an unbroken chain of comparisons.” Note this does not mean a calibration shop needs to have its standards calibrated with a primary standard. It means that the calibrations performed are traceable to NIST through all the standards used to calibrate the standards, no matter how many levels exist between the shop and NIST. Traceability is accomplished by ensuring the test standards we use are routinely calibrated by “higher level” reference standards. Typically the standards we use from the shop are sent out periodically to a standards lab which has more accurate test equipment. The standards from the calibration lab are periodically checked for calibration by “higher level” standards, and so on until eventually the standards are tested against Primary Standards maintained by NIST or another internationally recognized standard. The calibration technician’s role in maintaining traceability is to ensure the test standard is within its calibration interval and the unique identifier is recorded on the applicable calibration data sheet when the instrument calibration is performed. Additionally, when test standards are calibrated, the calibration documentation must be reviewed for accuracy and to ensure it was performed using NIST traceable equipment. It makes sense that calibration is required for a new instrument. We want to make sure the instrument is providing accurate indication or output signal when it is installed. But why can’t we just leave it alone as long as the instrument is operating properly and continues to provide the indication we expect? 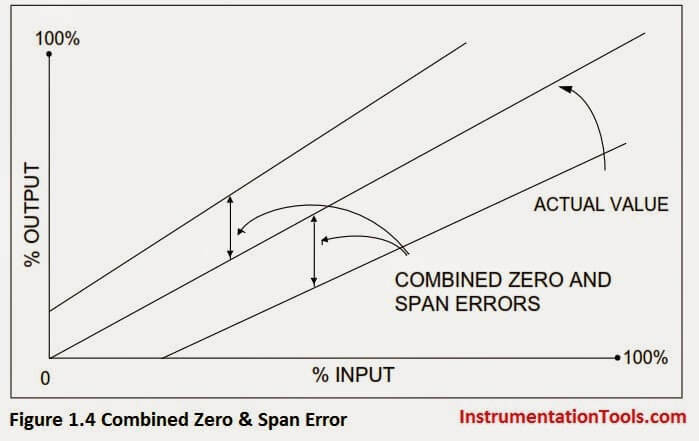 Zero and span errors are corrected by performing a calibration. Most instruments are provided with a means of adjusting the zero and span of the instrument, along with instructions for performing this adjustment. 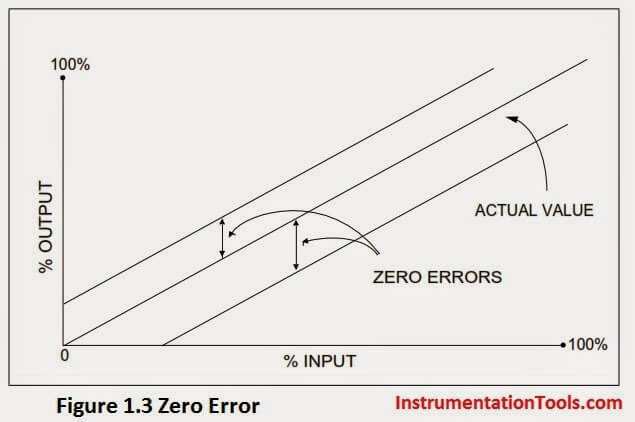 The zero adjustment is used to produce a parallel shift of the input-output curve. The span adjustment is used to change the slope of the input-output curve. Linearization error may be corrected if the instrument has a linearization adjustment. If the magnitude of the nonlinear error is unacceptable and it cannot be adjusted, the instrument must be replaced. To detect and correct instrument error, periodic calibrations are performed. Even if a periodic calibration reveals the instrument is perfect and no adjustment is required, we would not have known that unless we performed the calibration. And even if adjustments are not required for several consecutive calibrations, we will still perform the calibration check at the next scheduled due date. Periodic calibrations to specified tolerances using approved procedures are an important element of any quality system. A control system technician (CST) is a skilled craftsperson who knows pneumatic, mechanical, and electrical instrumentation. He or she understands process control loops and process control systems, including those that are computer-based. Typically, he or she has received training in such specialized subjects as theory of control, analog and/or digital electronics, microprocessors and/or computers, and the operation and maintenance of particular lines of field instrumentation. A CST performs calibration, documentation, loop checks, troubleshooting, and repair or replacement of instrumentation. These tasks relate to systems that measure and control level, temperature, pressure, flow, force, power, position, motion, physical properties, chemical composition and other process variables. Honesty and Integrity: A CST must possess honesty and integrity above all else. Most technicians work independently much of the time. Calibrations must be performed in accordance with procedures and must be properly documented. Additionally, the calibration department may be understaffed and production schedules may demand unrealistic completion requirements. These factors can have a real impact on proper performance and documentation of calibrations. Remember: Nobody can take away your integrity; only you can give it away. Attention to Detail: Calibrations should be performed in accordance with detailed instructions. Each different make/model instrument is adjusted differently. Each instrument is installed in a different physical and loop configuration. Because of these and many other differences, attention to detail is very important. The minute a technician is not paying attention to detail, safety and proper performance are jeopardized. Excellent Documentation Practices: In many facilities, the impression of quality is determined by the content and appearance of documentation. Many technicians complain the paperwork is 90% of the work. In today’s world of ISO9000, cGMPs, A2LA, and other quality standards, documentation is essential. If it isn’t documented, it wasn’t done. Calibration Data Sheets must be neat, complete, signed and, if required, reviewed in a timely manner. When changes occur, all related documentation, such as drawings, manuals, specifications and databases must also be updated. Understanding of Processes: One thing that sets technicians apart is an understanding of the process, particularly how the instruments monitor and control the process. There is a difference between calibrating an individual component and calibrating an instrument as part of the bigger process control loop. For example, knowing when a controller can be placed in manual without affecting the process and what to do while that controller is in manual, requires an understanding of the process. Additionally, when an operator says there is a problem with his indication, a technician who knows the instrument loop and process will be more capable of identifying the cause of the problem. • Classification of Instruments as Critical, Non-Critical, For Reference Only, etc. An individual instrument calibration is a calibration performed only on one instrument. The input and output are disconnected. A known source is applied to the input, and the output is measured at various data points throughout the calibration range. The instrument is adjusted, if necessary, and calibration is checked. An instrument has had a shock, vibration, or exposure to adverse conditions, which can put it out of calibration or damage it. Safety procedure: In case of instruments involving perishable products such as food or thermometers with area of sensitive nature, uncalibrated instruments may cause potential safety hazards. Wastage: If the instrument is not perfectly calibrated, it might lead to potential wastage of resources and time consumed in the operations, resulting in an overall increase in expenses. Faulty or Questionable Quality: If the instrument is improperly calibrated, the chances of faulty or questionable quality of finished goods arises. Calibration helps maintain the quality in production at different stages, which gets compromised if any discrepancy arises. Fines or litigations: Customers who have incurred damage may return the product against a full refund, which is still alright; but if they go for litigation due to damages, you could be up for serious costs in terms of reputation and restitution payments. Increased downtime: Poor quality of finished goods is the first indicator of disrepair in your equipment. Regular calibration programs identify warning signs early, allowing you to take action before any further damage is caused. The calibration of instruments is the most basic maintenance requirement, which is an established procedure that every business using machinery or instruments must conduct periodically as specified in their machinery or instruments requirement. I HAVE SOME QUESTIONS ABOUT FOUNDATION FIELD BUS MOV CALIBRATION .IN OUR PROJECT WE HAVE AUMA MANUFACTURED MOV WITH FF COMMUNICATION.WE DOES NOT KNOW HOW TO COMMUNICATE FF 475 COMMUNICATOR WITH MOV.NORMALLY MOV OPERATES BY DISPLAY PUSH BUTTONS OPEN OR CLOSE MECHANISM.BUT WE DONOT KNOW WHAT ARE THE PARAMETERS OR FUNCTIONAL BLOCKS TO BE ADDED AND GIVE COMMAND FROM COMMUNICATOR TO OPERATE THAT AUMA MOV.BUT NOW WE JUST GIVEN TEMPORARY ADDRESS AND TAG NAME FOR THAT MOV SO PLEASE ADVISE US THE COMPLETE MECHANISM TO OPERATE THE MOV THROUGH 475 COMMUNICATOR FOR FURTHER CALIBRATION PROCEDURE.